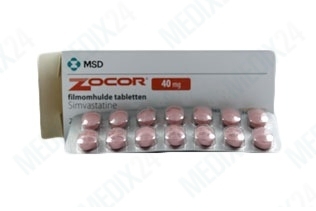 The active ingredient in Zocor, Simvastatin, is a statin. Statins are used for the treatment of high cholesterol. Used for treating: high cholesterol. Effect: lowers lipids and triglycerides in the blood. High cholesterol occurs when the level of lipids in your body becomes too high. Lipids are fatty cells made by the liver which affect the arteries and when you have high cholesterol the narrowing of the arteries by these lipids may lead to severe consequences such as heart attacks or (mini) strokes which may cause permanent damage or may even be fatal. 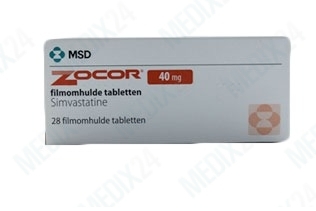 Zocor is a very regular treatment method for high cholesterol. Zocor decreases the amount of lipids produced by the body thereby lowering the bad cholesterol, called LDL. At the same time the production of the good HDL cholesterol is promoted. Studies indicate that exact balance between HDL and LDL cholesterol is crucial if you develop problems such as high blood press and other cardiovascular diseases. Zocor rarely causes side effects and is therefore a preferred medication for many prescribers. When it does cause side effects, most of these problems are not serious, they may include respiratory infections, headaches and dizziness, abdominal pain, nausea or constipation. 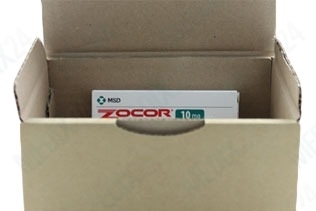 However, should you experience liver problems such as jaundice, or muscle problmes, such as unexplained muscle pain, musclet enderness, muscle weakness or muscle cramps, you should immediately contact your physician and inform them you are using Zocor. Warning: During the use of Zocor, you may not consume any grapefruit juice as the juice will interact with your medication.